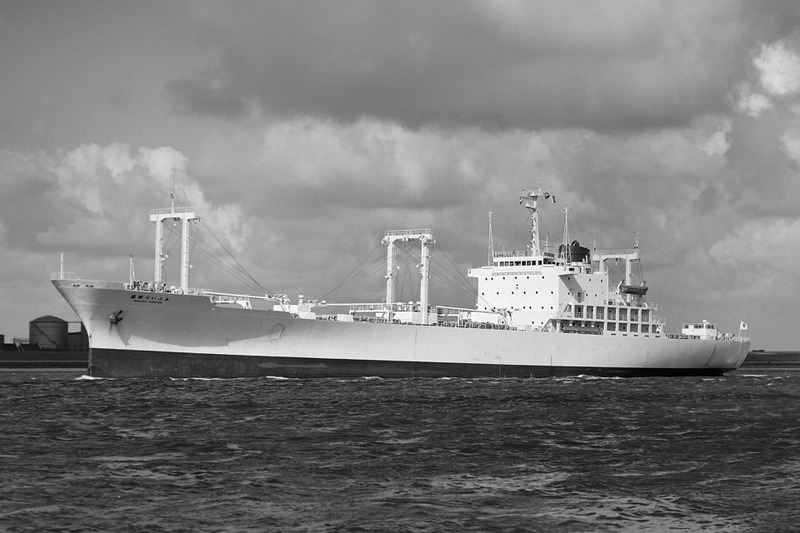 Ex Rio Parana, Rio Panama, Parana, Argo Reefer, Ipanema Reefer, Unity Reefer, Sonoda Reefer. 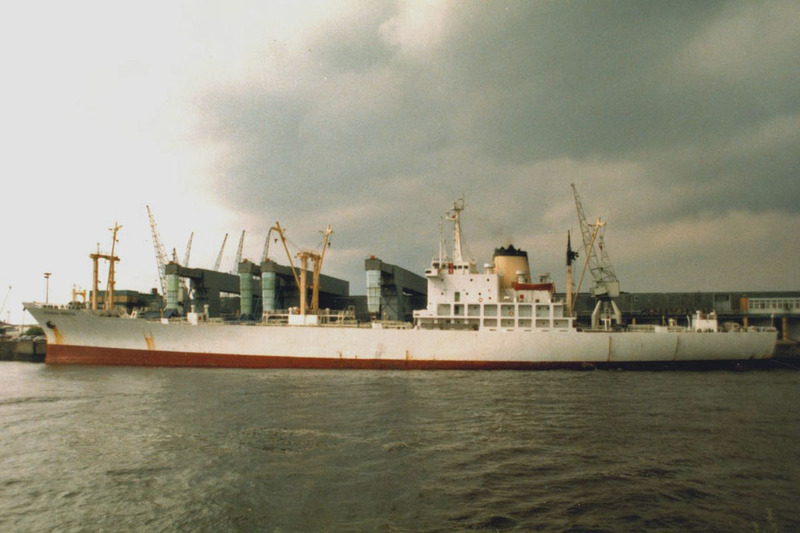 Steel single screw “Kanda 445-433k Standards + Variants” motor vessel built in 1974 by Onomichi Zosen K.K., Onomichi (Yard No 246) as Refrigerated Cargo ship. One of seven, five from Kanda for the Cuban state fleet and two from Onomichi. They had four holds, three forward and one aft of the engine room, and four side doors on each side. 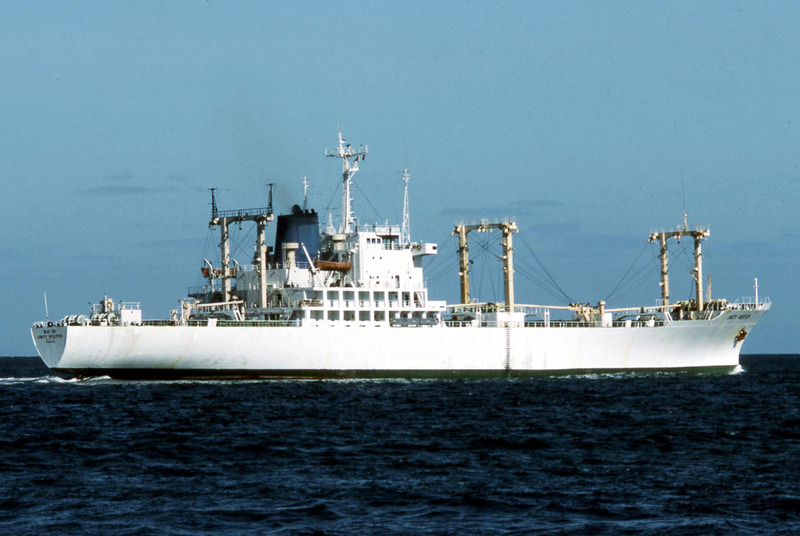 1974: Completed as SONODA REEFER. 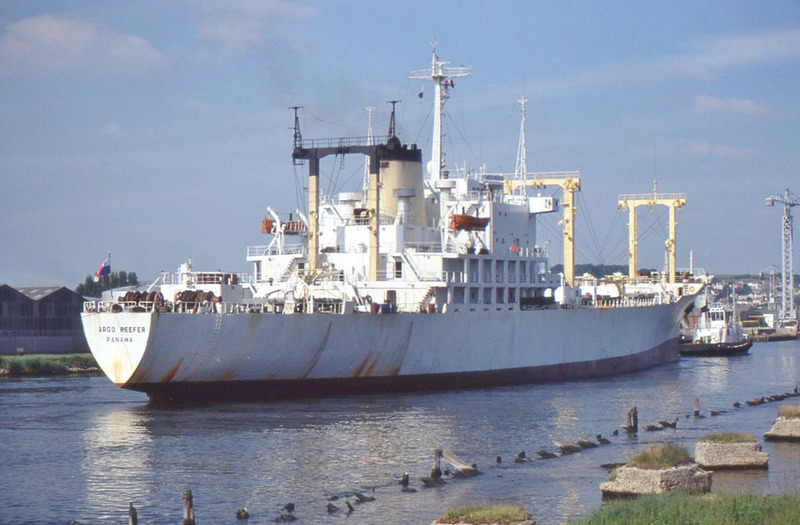 1976: Renamed UNITY REEFER. 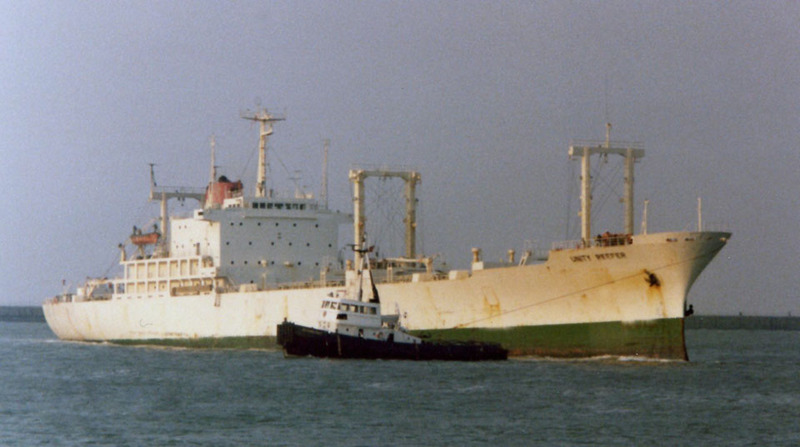 Registered Owner; Unity Reefer Navigation S.A.
@ 1984 -1985: Registered Owner; New Ocean International S.A.
1988: Renamed IPANEMA REEFER. 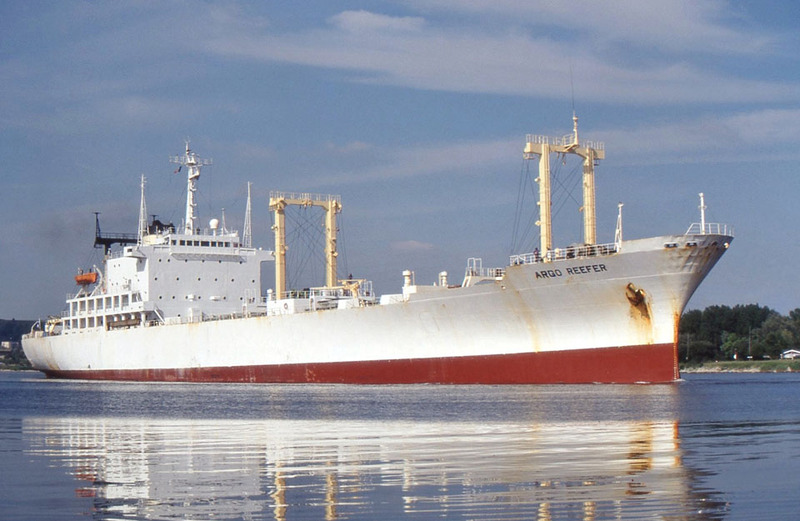 Registered Owner; Frutier Shipping Co. Ltd. Registered Manager; International Reefer Services S.A.
Feb 1993: Renamed ARGO REEFER. 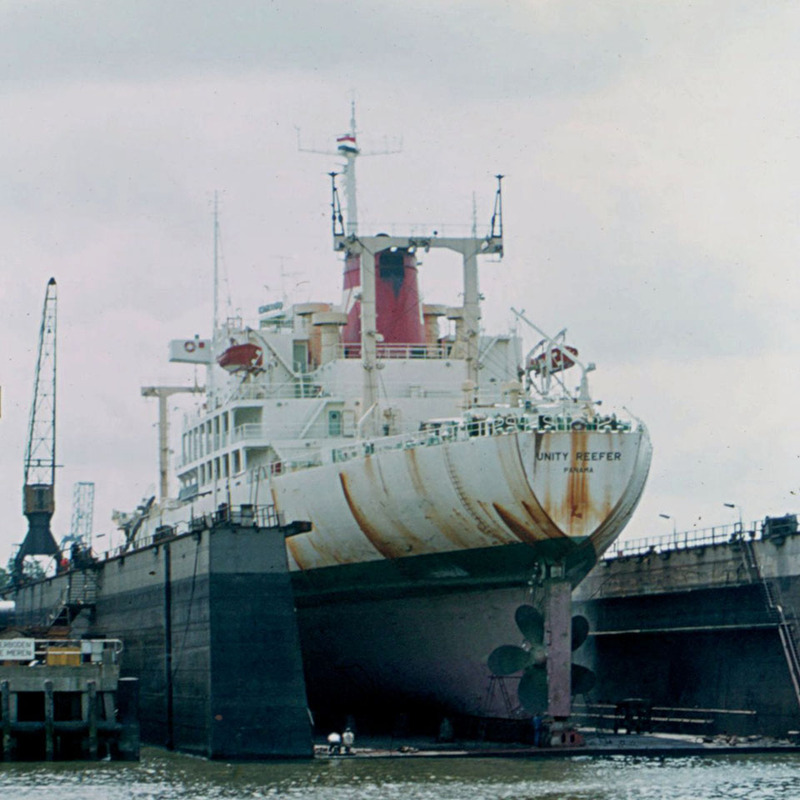 December 1995: Renamed RIO PANAMA. All information is believed to be correct and no responsibility is accepted for any errors or omissions. All items included in this article are subject to © copyright. We would like to take this opportunity of thanking: Pascal Bredel, Mike Griffiths, Chris Howell, Joerg Seyler and Gordon Wise for their assistance in producing this feature.